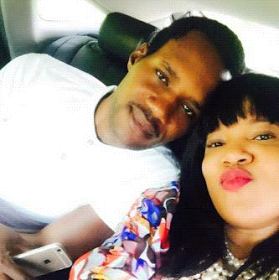 Seun Egbegbe, the former lover of Nollywood actress, Toyin Aimakhu, has denied prostrating before the actress to earn her forgiveness. This is following the efforts made by the Lagos State Police Command to settle the fight between the pair, over some threats made by Egbegbe, who is a movie producer. The movie producer was reported to have prostrated before Aimahku at the office of the Lagos State Commissioner of Police, Fatai Owoseni. Egbegbe, in an interview with Encomiun Magazine, has however dissociated himself from such claims. He said, "I, Seun Egbegbe, didn’t appear before the CP to sign any undertaking and I didn’t prostrate for Toyin or beg her for any reason. It’s just a rumour. Maybe those writing or posting that are only looking for unnecessary attention or maybe it’s being sponsored."